Today marks the beginning of a big change for me. If you follow me on Twitter you may already know but if not today I am relocating and saying goodbye to our little cottage in the middle of nowhere and saying hello to our new apartment in Saltaire. Both Craig and I began working in Leeds back in June which from where we live isn't very easily commutable. This means we face extremely long days leaving the house at 7am and not getting home until 7.15pm. We're constantly tired, with little energy to do the things we want because we're so shattered form the long day. We literally get home, have dinner then go to bed. We knew we wouldn't be able to keep this up long term so began looking for somewhere else to live. We wanted to move somewhere with good commuter links so we would be able to either get the bus or train into Leeds or only have a short drive. After looking at lots of different locations we finally settled on Saltaire. If you don't know much about Saltaire it's an amazing little village with a park, woods, river, canal, lots of independent shops and cafes, the famous Salts Mill and is only 12 minutes to Leeds on the train! It's also a World Heritage Site because of the way it's been preserved as an industrial mill village - there's so much on offer there. We set about looking for a house but we just couldn't find anything that was suitable for us. Everything we looked at just wasn't quite right and involved too many compromises. This went on for months and months. I also kept getting cold feet thinking what if I regret the move and miss our house too much and started talking myself out of it. Next thing I would talk myself back into it. This went on for months and we still couldn't find anywhere. After over 6 months of searching we almost gave up but for some reason I clicked into an apartment advertised on RightMove. We had always completely written off the idea of an apartment because we thought there wouldn't be enough room but this one seemed to have loads of space and was finished to a really high standard. We called the agent to view it but it had already been snapped up (typical) but this opened up a whole new wealth of options. We looked at 3 or 4 more apartments in the complex and eventually decided to go for a gorgeous duplex apartment. Although I was apprehensive at first ( hello red kitchen) as soon as we put in the application I felt so exhilarated and was totally over come with excitement. I have talked about and thought about nothing else for the last month and I cannot believe that we finally move in tomorrow. Our quality of life is going to be so much better there and it will allow us to save the money we want towards our deposit for our own place. It's funny how things work out. Now I see why we couldn't find a house in the village - because we weren't meant to find a house we were supposed to find this apartment which ticks all of the boxes with minimal compromises. I'm a firm believer that if its meant to be it will happen and that everything happens for a reason. Moving house even when you're renting is very expensive but it just so happens Craig and I got our bonuses this month which enabled us to be able to pay for the deposit on the new place. 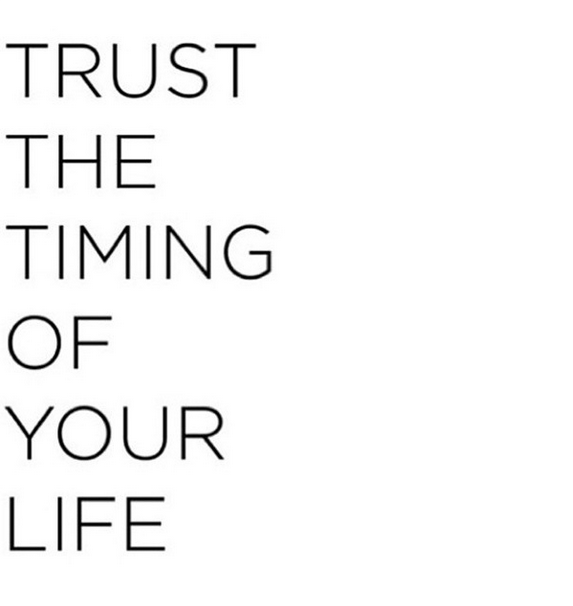 Sometimes you just have to trust the timing of your life and go with it. When we got the keys on Wednesday I had to pinch myself as I couldn't believe that I was going to be living in this gorgeous place. I feel so blessed and lucky to have arrived to this point in my life. I'm beyond excited to see what's around the corner and can't wait to share it with you.